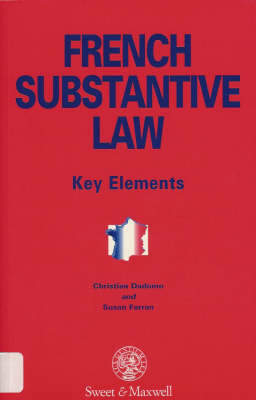 This accessible approach to the study of French law describes and clearly explains those areas of French substantive law which are significantly different from English law. Students of law, politics, business studies and European studies, as well as practitioners with clients with interests in Europe, will find its detailed but highly readable style offers the clearest possible analysis of French law. It fills an important gap in the available literature by providing an insight into some of the complexities of the subject.